Cindy, your staff is one of the very best I have worked with for over 30 years. If you would like a printable version of this map, simply click the map below. 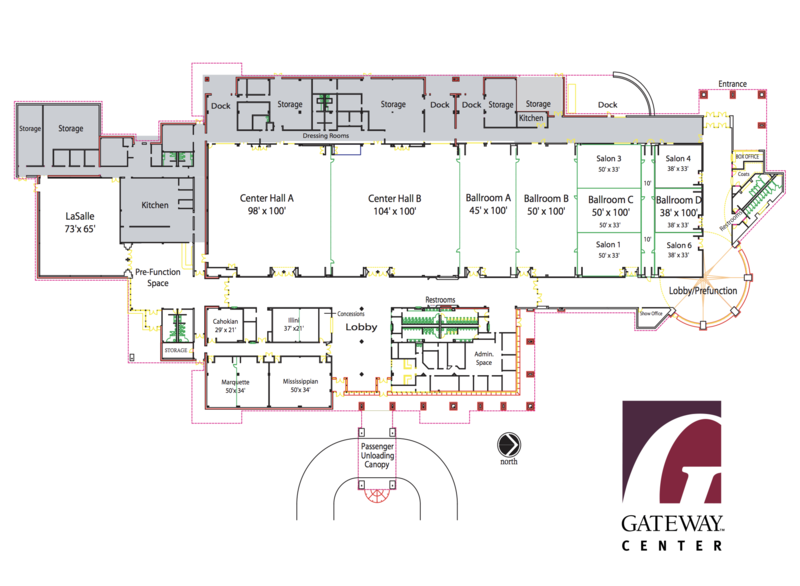 Gateway Center is a multi-purpose convention center located in Collinsville, IL that offers the convenient location, accessible and flexible event space, experienced staff, free parking and proximity to hotels and attractions that will make any event a success. With in-house catering, decor and production services, an event planner has all the elements they need for an excellent event experience. Our modern facility includes a large exhibit hall, a spacious ballroom, and several meeting rooms that can be customized to accommodate your group's needs. From small meetings and banquets, to large scale conventions and consumer shows, our building can accommodate seating for groups of 20 to 3,200.